We more often than not come across huge sculptures along roads when travelling around the world. Some are eye catching, but some may not -rather these become an eye sore for the frequent visitors to the place or those living in the neighborhood, seeing the disgusting thing time and again. 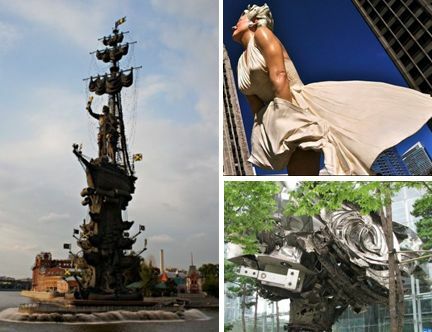 Huffington Post has recently carried out a survey of such sculptures and have selected a few which can be seen in a slide show HERE. You may agree or disagree or you may want to share something uglier than these selected.